Ernest grew up in Ipswich and was a pupil at St Helens School. 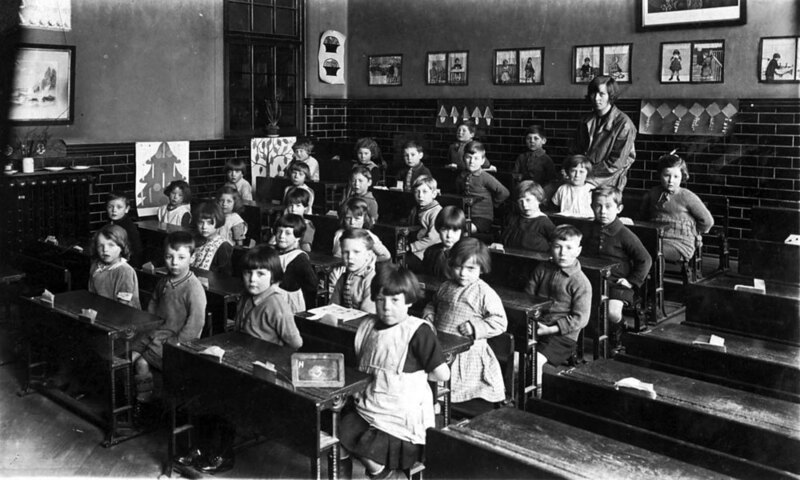 Ernest dug out photographs from his time at the school, he said “One was taken when I attended St Helens’ infants’ school late in the 1920s. Another photo was taken at St Margaret’s Boys School on Bolton Lane, late 1920s or early 1930s, Miss Watts was the teacher, Mr. Death (Decker to us boys) the Headmaster, a man who was quite handy with the cane. “We used to play football at the end of Finchley Road, a practice not encouraged, every afternoon a Policeman used to come down the passage connecting Hayhill and Finchley roads at which time we scarpered. One day he changed routine, came up little Finchley Road and caught the lot of us; we received a good dressing down and told next time our parents would receive a visit. After that we always had a look out”.